Vintage looking Stable Sign, barn sign, vintage sign, wooden sign, horse sign. 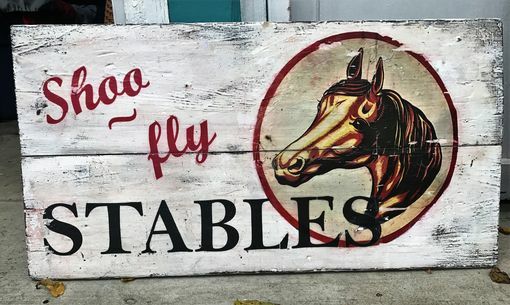 This whimsical sign is made from vintage wood. 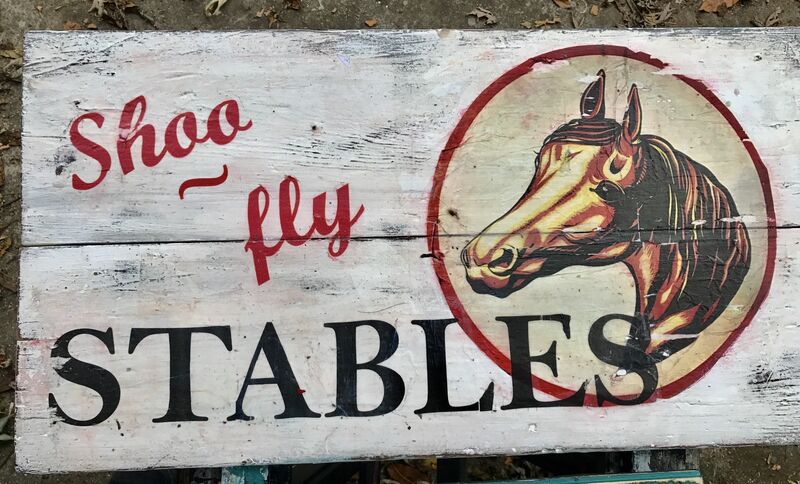 I re purposed it into this fun vintage looking barn sign to add color to your home decor. It has a clear satin finish that you can hang outside on your deck or barn as well as inside at your home. It is approximately 30 x 15 inches but can be made to any size you would like.